University of Texas at El Paso and is a current Masters in Bilingual Education graduate student at SMU. She works as a bilingual Pre-K teacher in Oak Cliff and serves as a poetry and chess coach at her school. Through spoken word, she was able to connect with at-risk students who found an outlet for their feelings through words and organized the school’s first bilingual poetry open mic event. 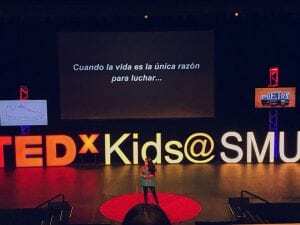 She recently delivered a TEDxtalk at TedxKids@SMU describing how poetry influenced her life and approach to teaching. 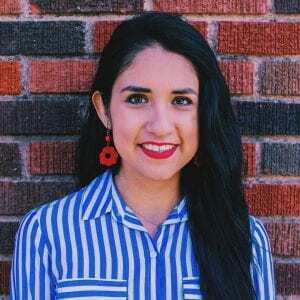 Alejandra is a Teach for America Alumna, a Teach for America Racial Justice fellow, and was just recently named a 2018 Millennial to Watch by Go Know Media. She decided to join the bilingual education graduate program at SMU to gain valuable skills and experiences to empower her bilingual students and advocate for their cultural representations. Her contributions abroad include serving as a Professional Development Facilitator with the Galapagos Conservancy Fund at Galapagos Islands, Ecuador, and as a Project Manager for AIESEC in Buenos Aires, Argentina. As an artist and spoken word poet, her work can be found in three anthologies with the Writers’ Association in Juarez, Mexico, and Pasos en el Norte, an anthology by the Rotary Club. Her most recent contribution is a chapter book with Voces Writers through the Oak Cliff Coalition for Arts and Alejandra serves as the host of Meet Me with Curiosity’s Poetry in the Park event in partnership with Klyde Warren Park.